The DETEXI NVR has the ability to receive, process, and associate events from different systems. Events can be received from access control, intelligent video software, and the network video products themselves. Once an event is triggered, the NVR register the event, associate it with a video clip from a nearby camera, and alert an operator, or investigator by sending a notification or by having a window with streaming video pop up on a viewing terminal, or respond any other configured way. This allows remote monitoring stations (Remote DETEXI Clients) to become immediately aware of a change in a monitored environment and response to things that occur. Having event management functions in the NVR provides tremendous benefits. It enables more efficient use of bandwidth and storage space because there is no need for a network camera or video encoder to send any video for viewing or recording unless an event takes place. 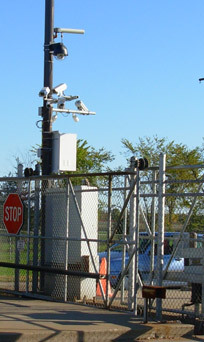 In addition, live monitoring of cameras is not required all the time. When an event takes place, alerts and notifications can be sent, and all configured responses (actions) can be activated automatically. Event management, which includes alarm handling, involves defining an event that activates a network video product to perform certain actions. An event can be scheduled or triggered. Input port(s) — the input ports on a network camera or video encoder can be connected to external devices such as a motion sensor or a door switch. Manual trigger — an operator can make use of buttons to manually trigger an event. 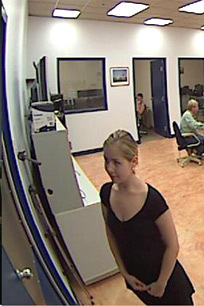 Video motion detection — when the NVR detects certain movement in a camera’s video, an event can be triggered. Upload images for recording at specified locations and at a certain frame rate using a specified compression type and level during the course of an event. Activate output port: the output ports on a network camera or video encoder can be connected to external devices such as alarms or a door switch. Execute an external program on the DETEXI NVR, with user-defined parameters if desired. 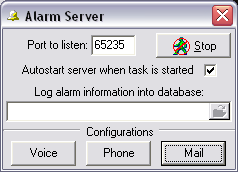 Send e-mail notification: this notifies users that an event has occurred. An image of the first frame of the alarm video also can be attached in the e-mail. 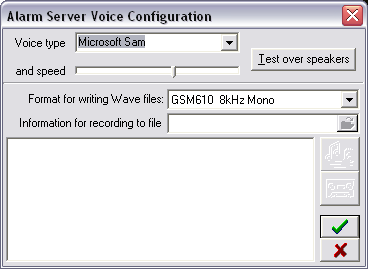 Call a user-defined phone or pager and play alarm-specific or a user-defined WAV file or text-to-speech message. Has the ability to attempt multiple times on failure. Go to a PTZ preset: this feature may be available with PTZ or dome cameras and enables the camera to point to a specified position, such as a window, when an event takes place. Activate an audio alert — plays alarm-specific or a user-defined WAV file or text-to-speech message over the NVR Server soundcard. 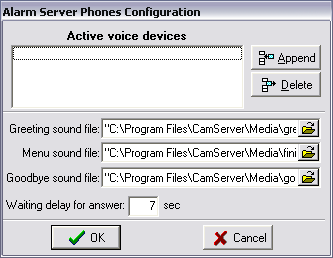 Enable on-screen pop-up in the DETEXI Client, showing alive video from a camera where an event has been activated. 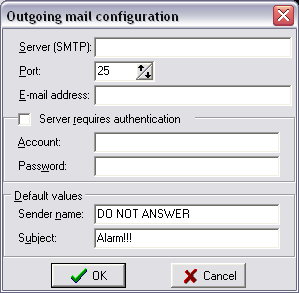 Show procedures that the operator should follow — send a user-defined message to be displayed on the operator’s computer. In addition, pre-alarm (for soft motion detection) and post-alarm (for I/O alarms or motion detection) image buffers can be set in the DETEXI NVR, enabling a network video product to send a set length and frame rate of video captured before and after an event is triggered. This can be beneficial in helping provide a more complete picture of an event.